The Eltham Library is a significant heritage listed building in the Nillumbik Shire. 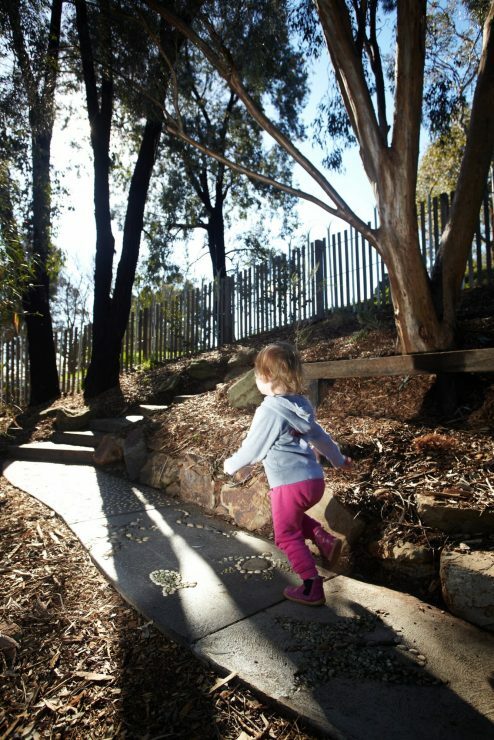 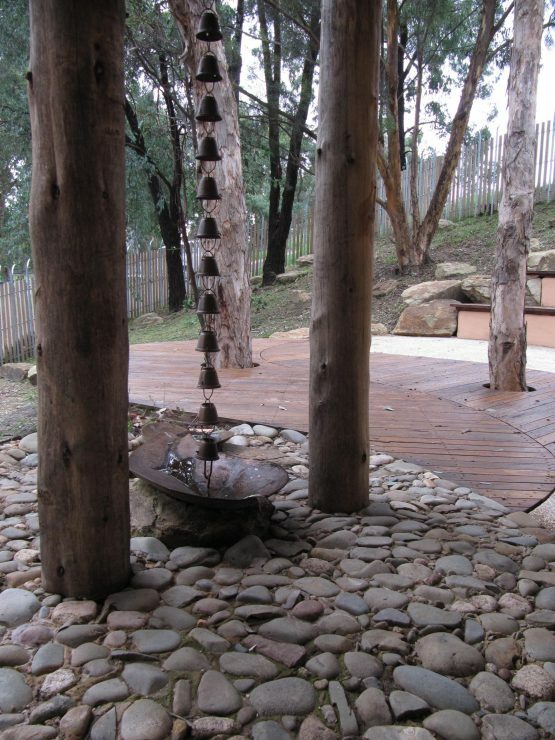 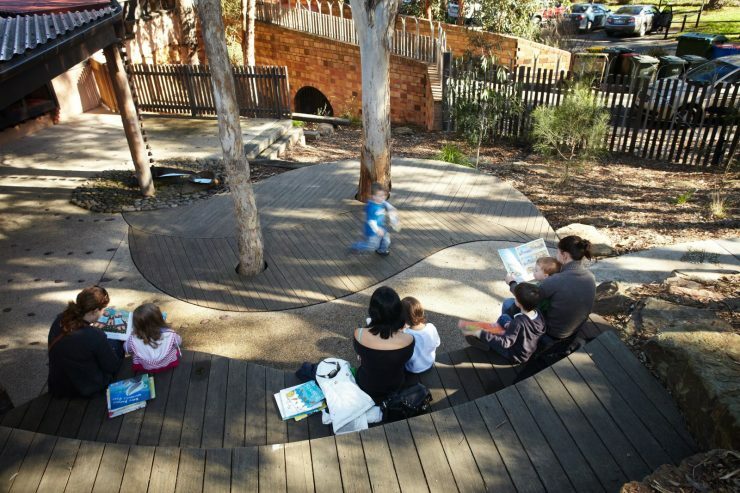 Jeavons Landscape Architects were engaged by Greg Burgess Architects to design the Children’s Courtyard as part of the new redevelopment works. 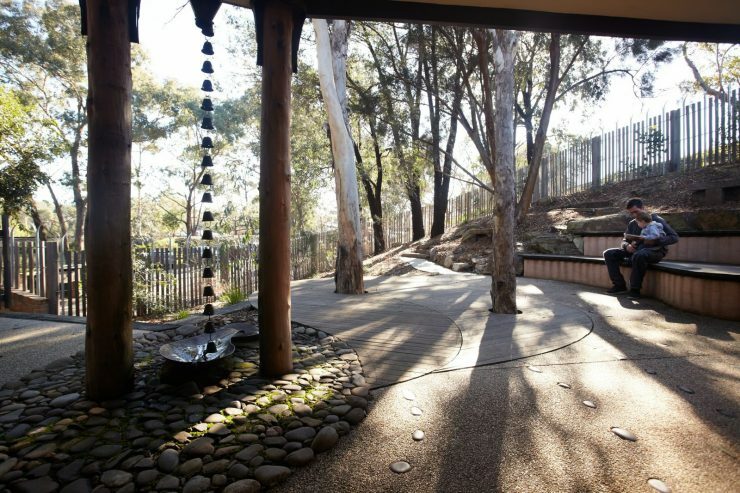 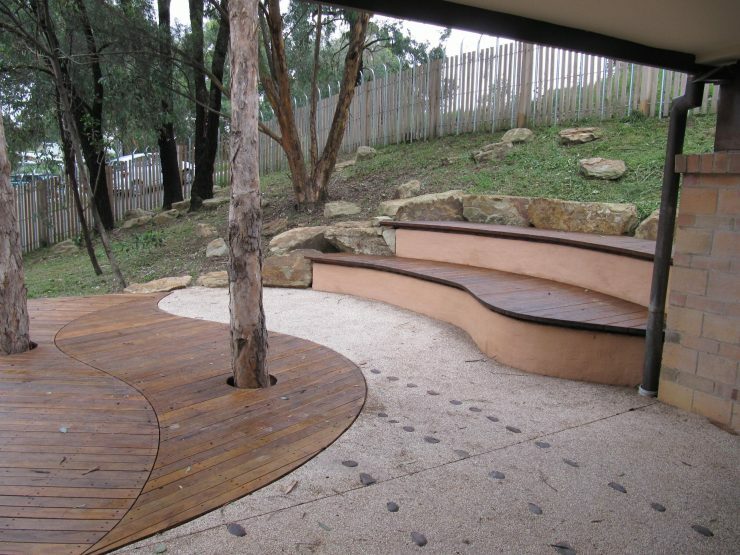 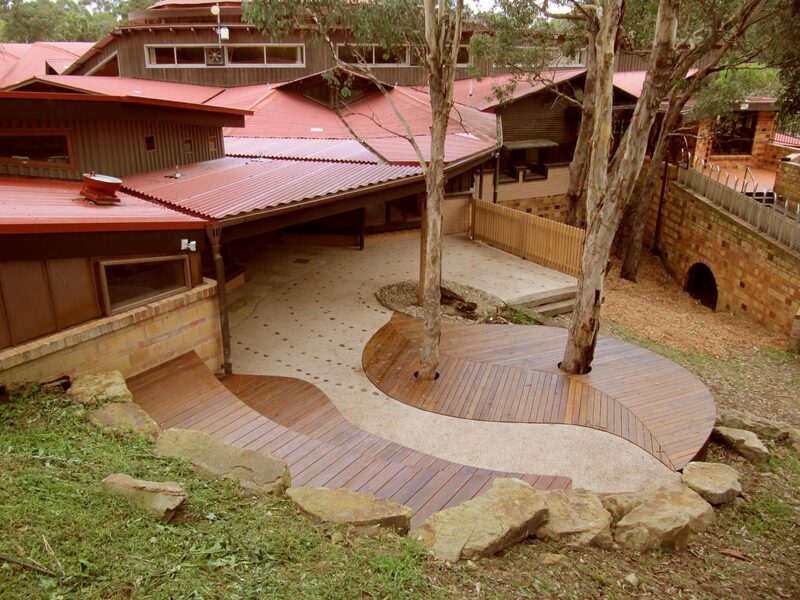 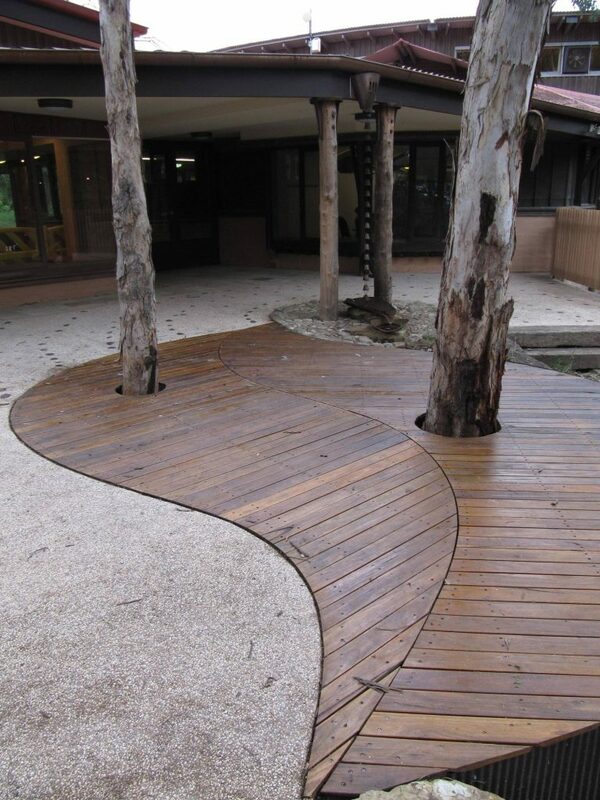 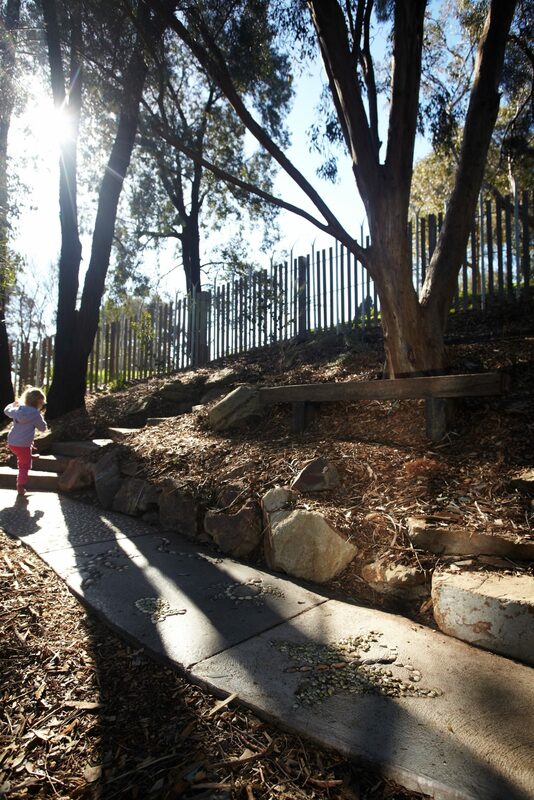 Eltham Library Children’s Courtyard provides an amphitheatre space into the side of a very steep site. The landscape design is in keeping with the spirit of the building and its natural setting whilst still functioning as a practical outdoor space where the activities of the library can be extended out of doors. 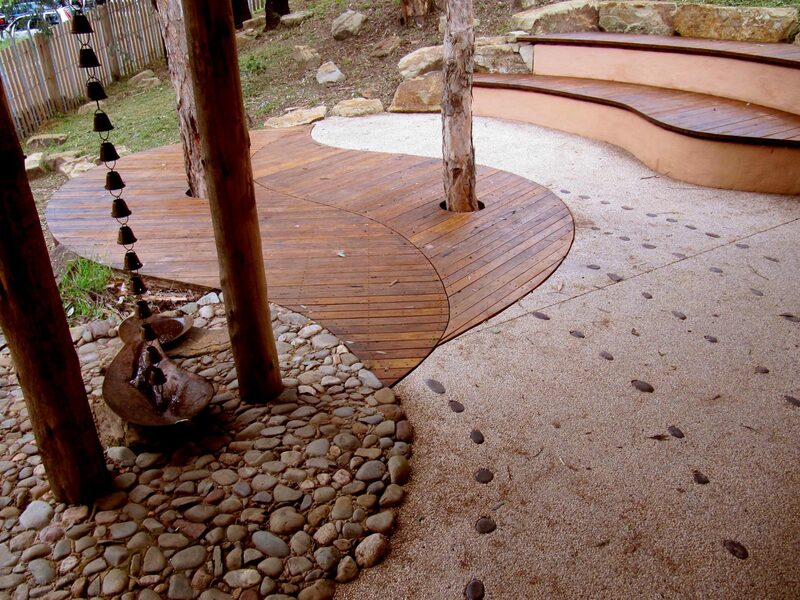 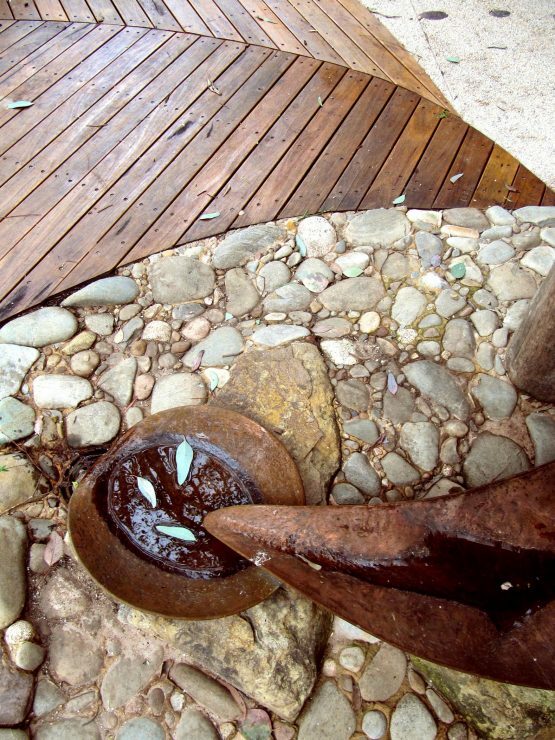 The design is based on the shape of a gum leaf and is highlighted by the leaf shaped deck and water feature bowls that utilise water collected from the roof. 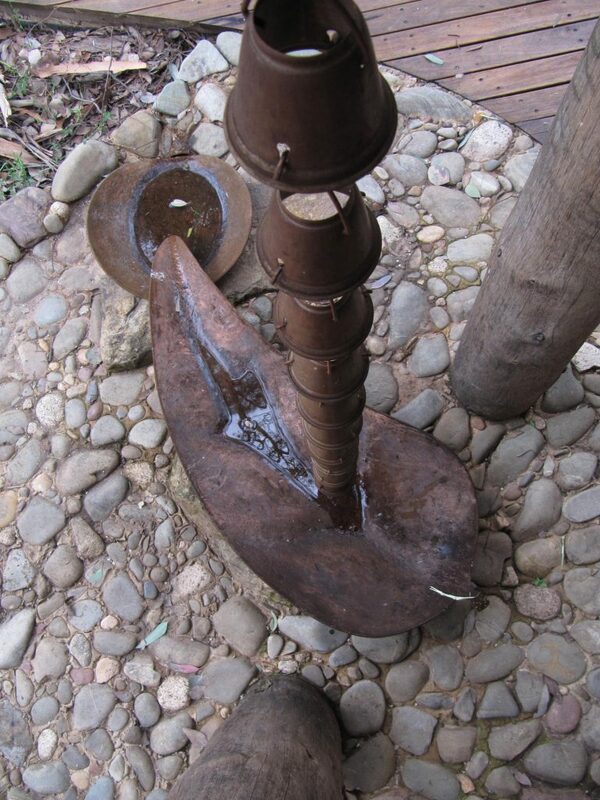 The sculptural elements were crafted by Nicholas Dunand. 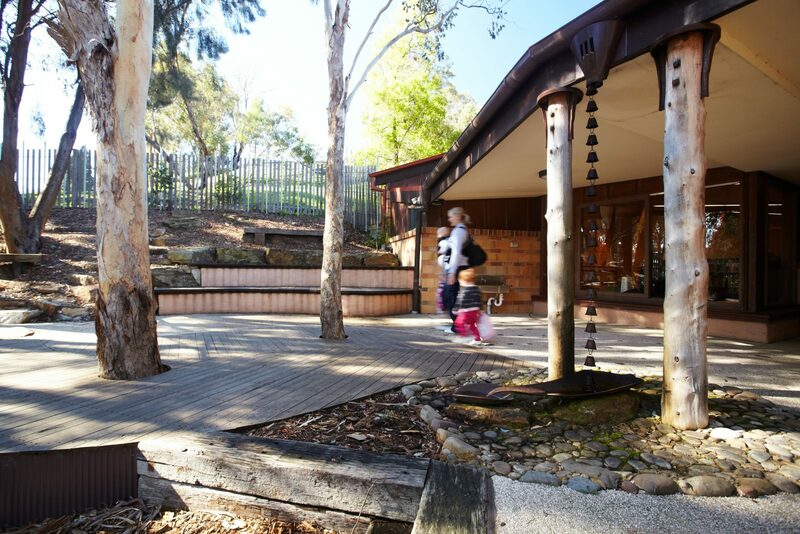 The space functions well in meeting the needs of the community and library staff, while presenting new possibilities for the function of the whole space.